According to reports, Rangers have returned their focus on Millwall’s Jake Cooper, after failing with a summer bid to capture the promising defender. The centre back is a major component of the Den’s recent form, but Steven Gerrard’s previous bids were ignored at the previous amount of well below Millwall’s asking price/contract escape clause of reportedly £5M. 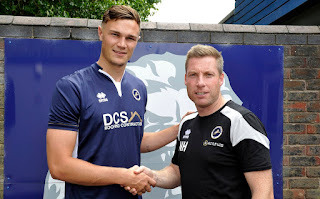 Rangers wouldn’t expect to pay the full sum, but Millwall are not going to let their star player go for a lot less than the market value, but Gerrard is said to be very very keen and chief scout Andy Scoulding watched the England youth star recently. With Joe Worrall looking like he may return to Forest in January, Rangers definitely need one more body, but Cooper would be a certain first-team starter at that price and if Rangers’ board are serious about their ambitions, they will support a big-money move for the stopper. I will crack the jokes. No way are we going to pay 5m for a centre half. If we do have 5m to spend it should be on creative, attacking players. At last someone with some sense but I would still like to know exactly how many loan players a club can have at the one time. It stands to reason that if we were interested before that we would still be interested if it looks like he might be available soon.Huge physical presence ,strong in the air and left footed which gives balance he would strengthen the options when Worrall and McAuley probably go.Why not get our 1/2 million back from Forest for the loan of Worrall , let him go back and use the money in the deal for Cooper .Forget Halkett and Lindsay average premier league players not good enough to help us to progress .